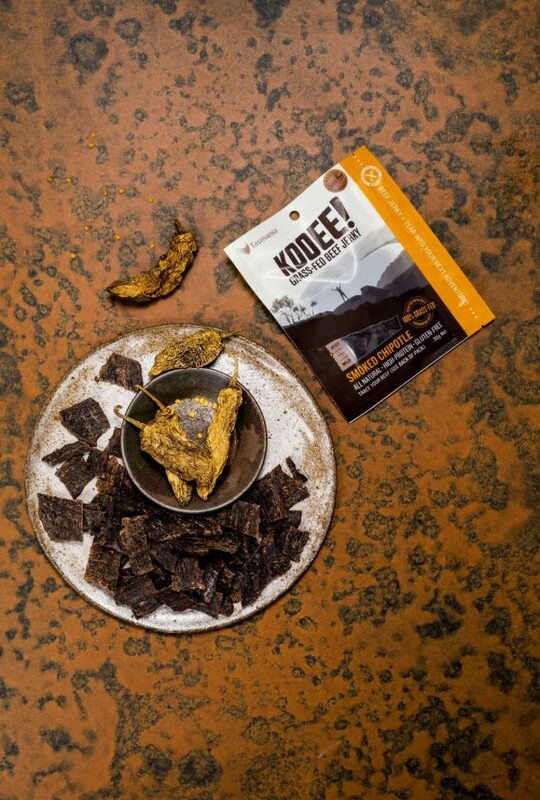 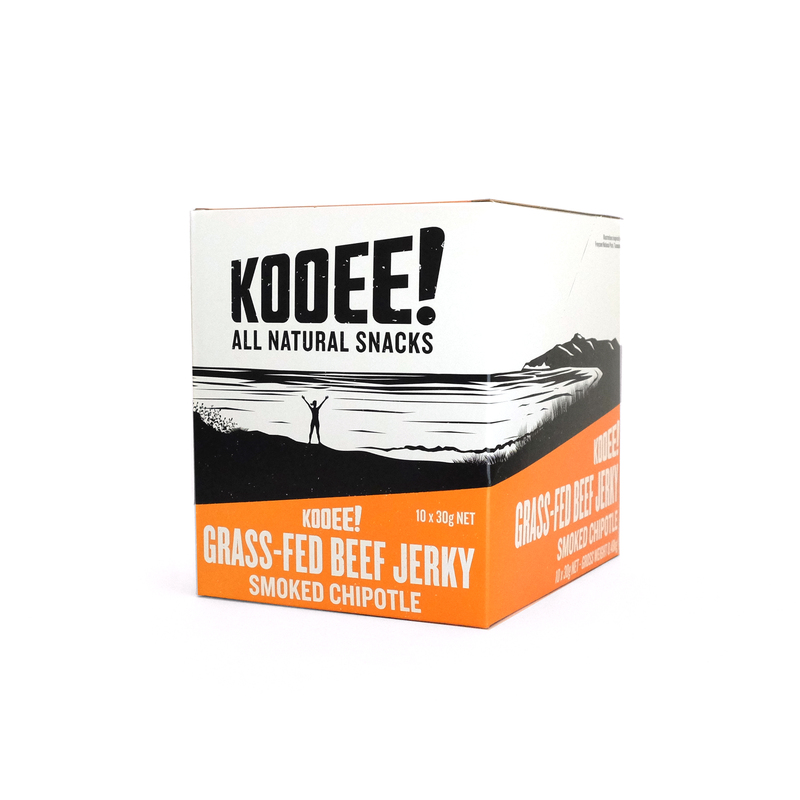 Grass-fed Beef Jerky - Smoked Chipotle 10 pack - KOOEE! 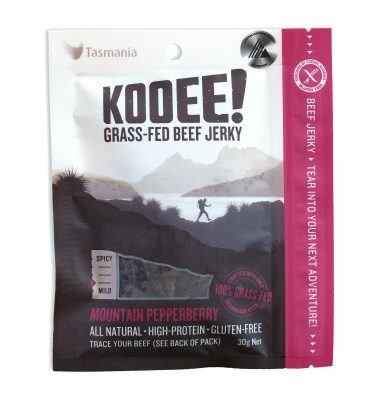 View cart “Mountain Pepperberry | 10 x 30g packs” has been added to your cart. 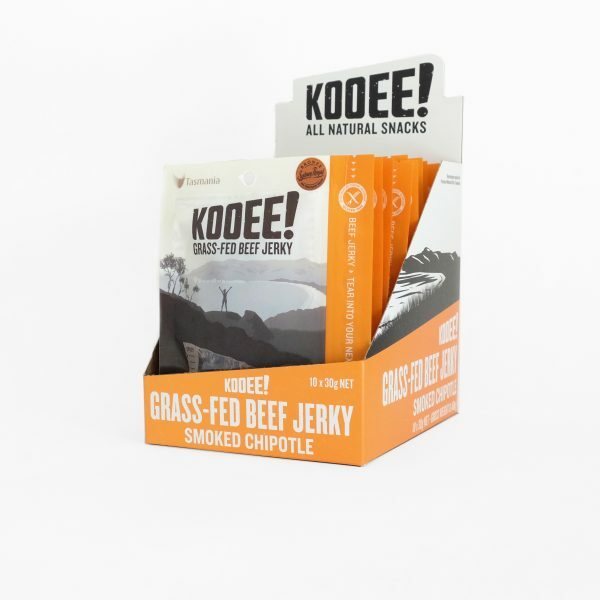 Don’t want to buy a whole box? 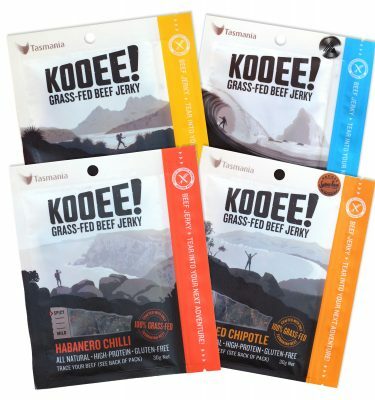 Check out our sample packs. 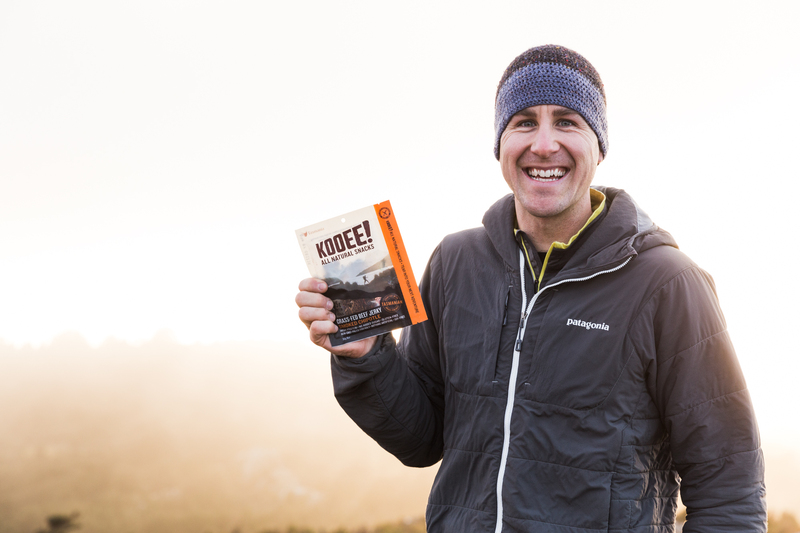 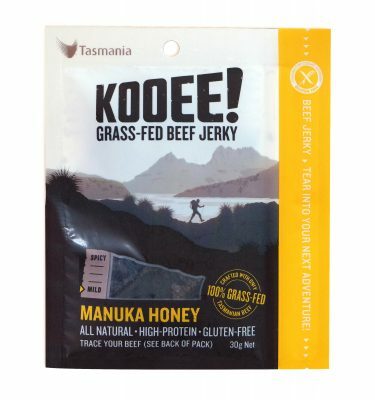 Made by our team in Tasmania with only premium Tasmanian grass-fed beef, we at KOOEE! 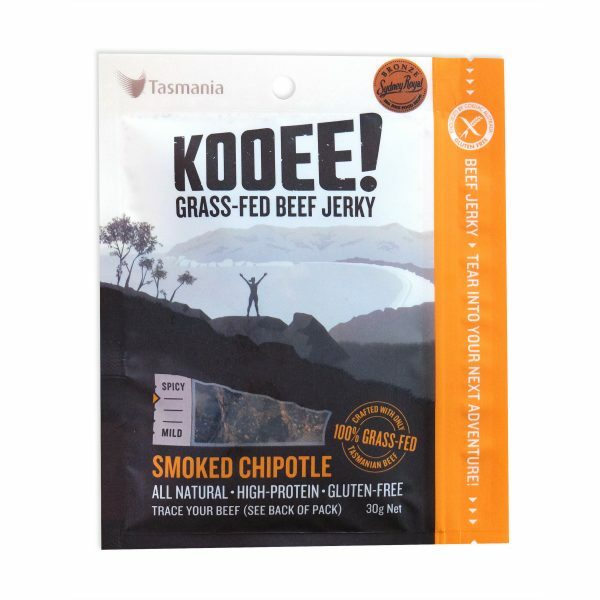 are proud to have crafted Australia’s best-tasting and healthiest jerky. 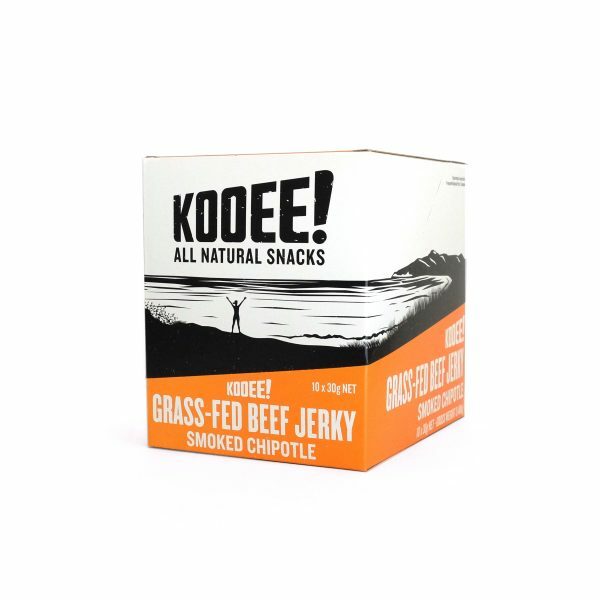 Carefully marinated in a unique blend of coconut aminos, unfiltered apple cider vinegar and sea salt, our 100% grass-fed beef jerky is free from added sugar, MSG, preservatives and anything artificial. 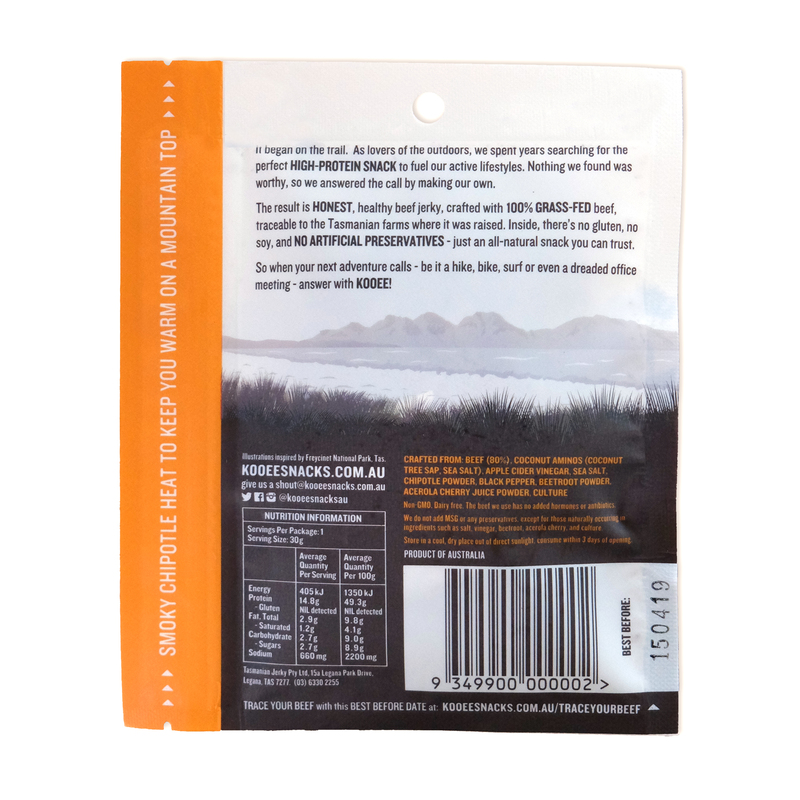 Inspired by Tasmania’s Freycinet Peninsula, you’ll find our jerky is the perfect snack to take with you on your next adventure. 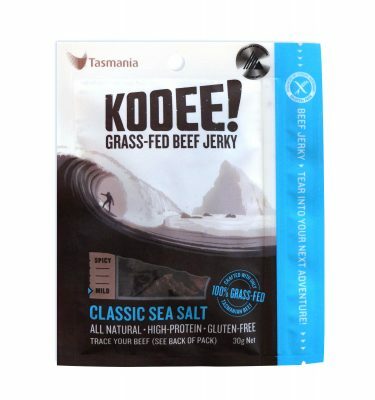 Crafted from: Grass-fed Tasmanian beef, coconut aminos, apple cider vinegar, sea salt, chipotle powder, black pepper, beetroot powder, acerola cherry juice powder, culture.